Howlin' Wolf Records: SIX STRINGS: Howlin' Wolf Records: "Silent Night" and "Music On Hold"
Howlin' Wolf Records: "Silent Night" and "Music On Hold"
Howlin' Wolf Records chimes in the holidays with SILENT NIGHT by award-winning composer Kevin Riepl (CABIN FEVER: PATIENT ZERO, CONTRACTED, ABCs OF DEATH). Featuring dark ambient chills, orchestral thrills and holiday sleigh bells, Riepl's score puts a foreboding spin on the perennial classic "Silent Night." 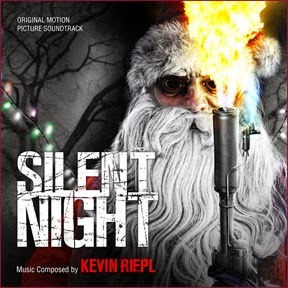 Commenting on Riepl's music for SILENT NIGHT, director Steven C. Miller heralds, "Kevin's score is visceral, emotional, and straight up brutal. Working with him has clearly elevated the film." We are offering a two scores just under the wire of the year 2013 and they are a pair of good, not naughty scores. Okay one is "Silent Night" released last year and I believe was the only horror film for the holiday. 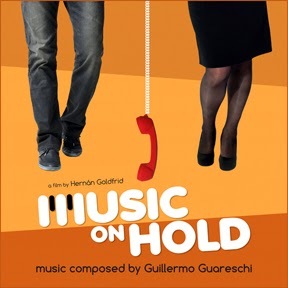 Second is "Music On Hold" done by one of our labels favorite composers Guillermo Guareschi and I must say it's a wonderful piece of score music... So for the holiday and beyond into 2014, how can you go wrong? Both of these sound great! Hi, I tried to find your post on quest for fire, but the search function isn't working. I had the same problem on my site.